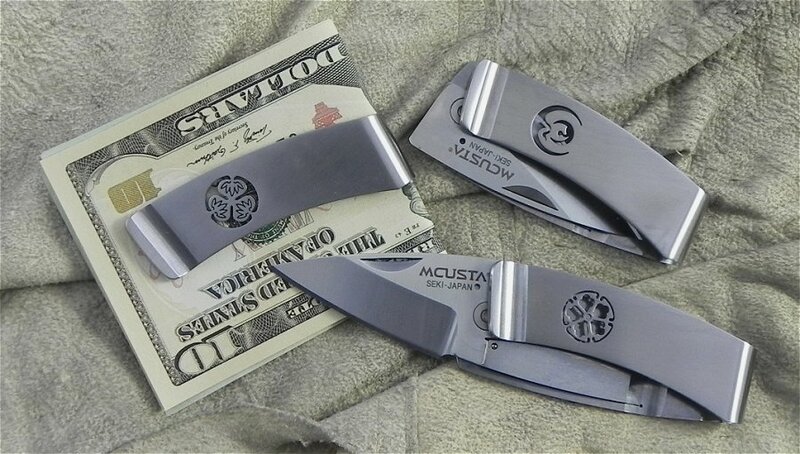 The unique skeleton type precision liner lock knife with integrated sturdy money clip. 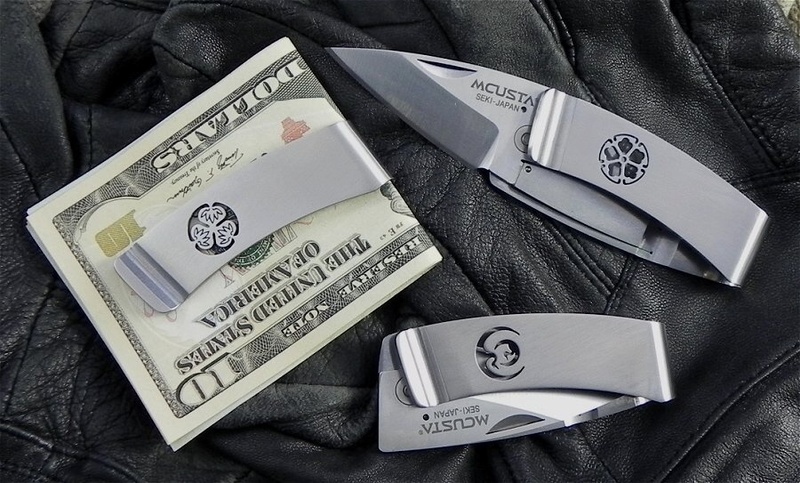 Each money clip is laser engraved with a traditional Japanese family crest (Kamon). All stainless steel construction with AUS-8 blade. 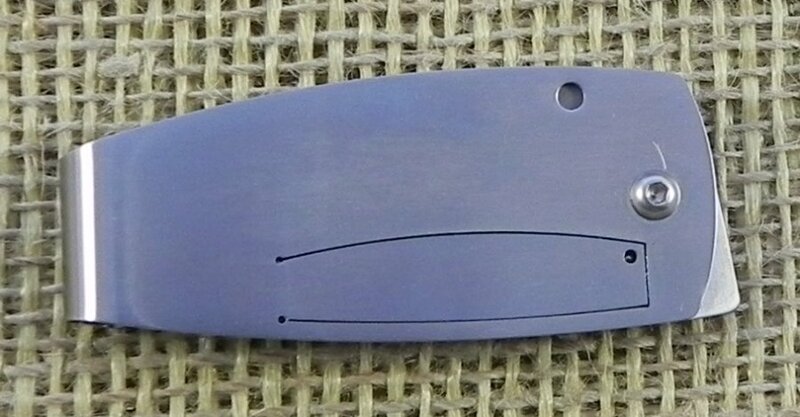 2" blade and 3" closed.